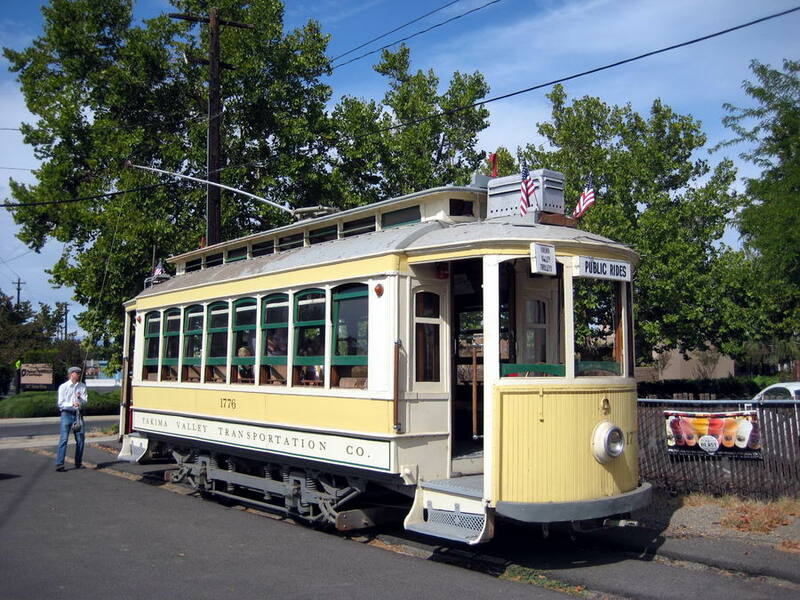 The Yakima Valley Trolley is something of a hybrid between an urban Vintage Trolley and a trolley museum. 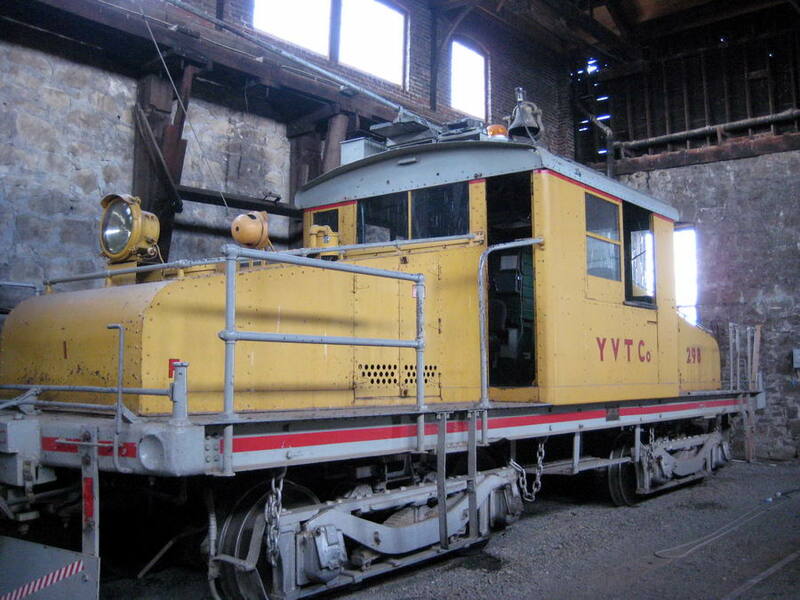 It uses the tracks of the former Yakima Valley Transportation Company (YVT), an electric interurban line that operated passenger service until 1947. Freight service, powered by electric locomotives, continued until 1985. 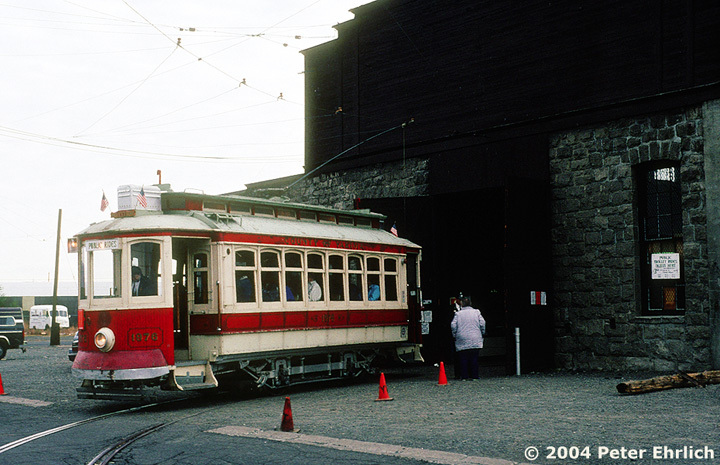 Today, the line retains several pieces of original YVT equipment, including a locomotive and two passenger trolleys. 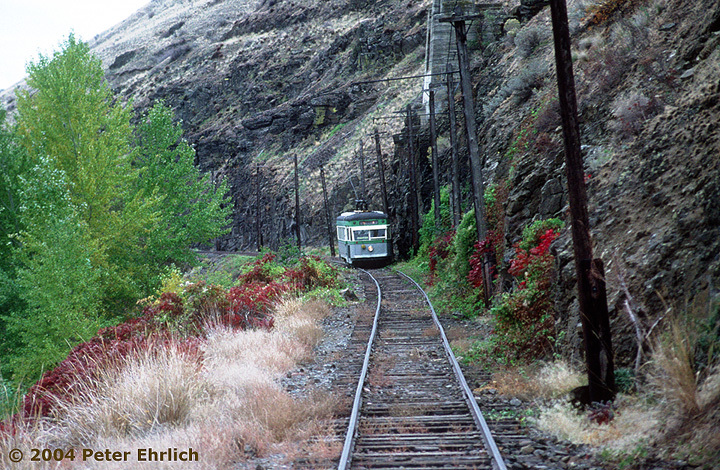 Owned by the City of Yakima, the line’s significance as an original, intact operating electric railway earned it a listing on the National Register of Historic Places in 1992. 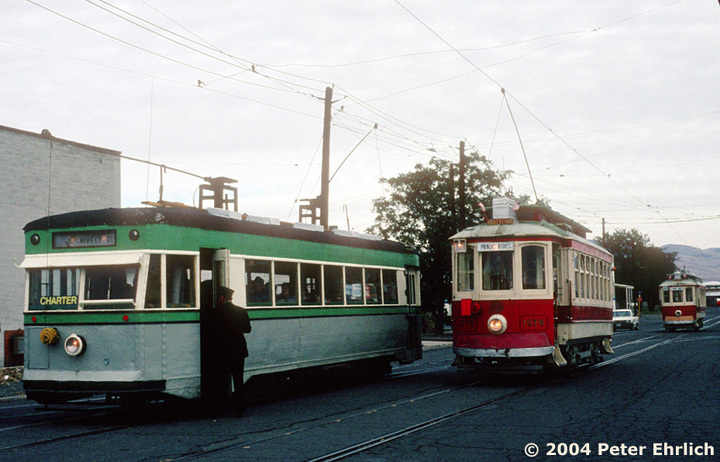 Trolley operation first returned to the YVT in 1974, using a pair of cars imported from Portugal. Service continued until 2000, when the city terminated its agreement with the non-profit which was operating the railroad. 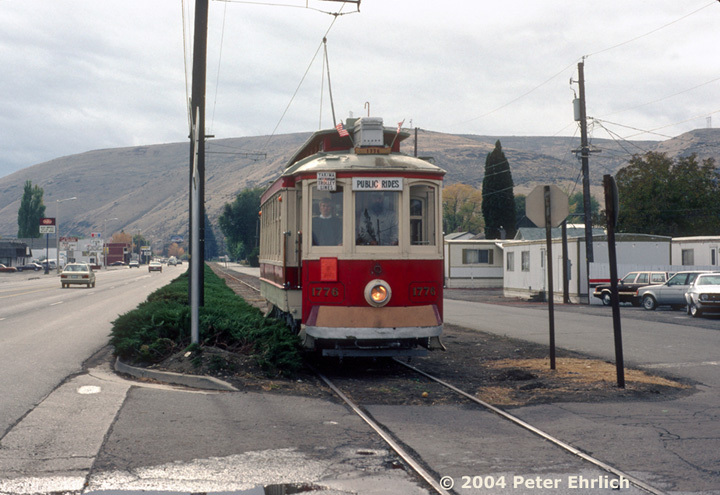 A new non-profit, Yakima Valley Trolleys, was incorporated in 2001 and returned the line to service in October 2001. 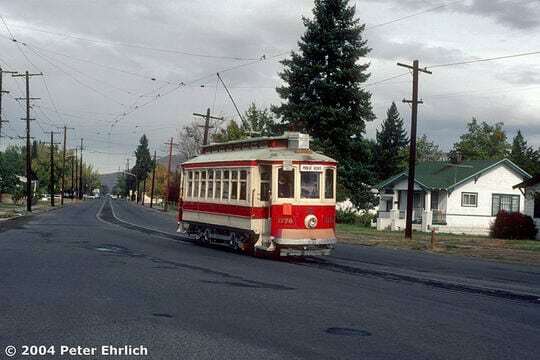 During the period the line was idle, the City of Yakima leased one of its Portuguese trolleys to Issaquah, Washington, where it was used to inaugurate service on the new vintage trolley operation there. 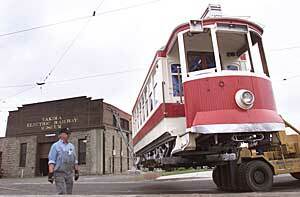 The car returned to Yakima in May 2002, with the thanks of the Issaquah Trolley. 3/9/06-Yakima Trolley receives $500,000 federal grant- A February 22 story in the Yakima Herald-Republic states that the City of Yakima will receive a federal transportation enhancement grant that will allow it to purchase the historic Yakima streetcar carbarn, make track and lighting repairs, as well as some structure improvements. 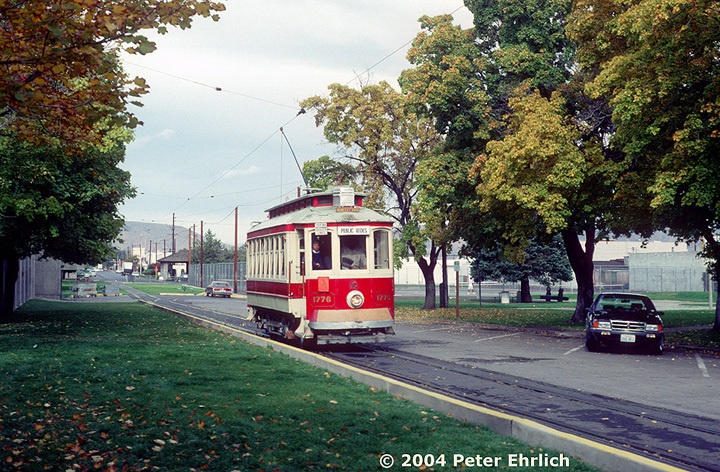 The infusion of capital funds is good news for the historic trolley (which is listed on the National Register of Historic Places), whose ridership and income potential are limited due to its rural location. Trolley Service Returns- Public operations began on July 6, a little later than planned owing to some difficulties in obtaining the necessary insurance coverage. 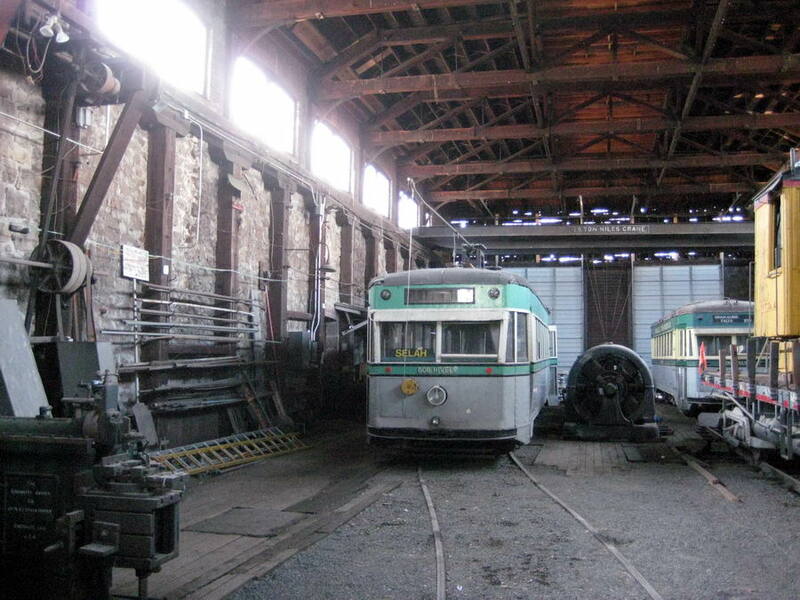 Congratulations to Yakima Valley Trolleys on their perseverance, and best of luck for the future! The Yakima Herald Republic ran articles on both July 7th and July 9th. August 2009- Eric Sitiko visited Yakima in August and sent along some pictures. We’re glad to hear the line in still going! A portion of the historic railroad is still without overhead wire following a massive copper theft in 2007. The line is definitely an historic treasure deserving of preservation. 1776 is the mainstay of the line’s operation. 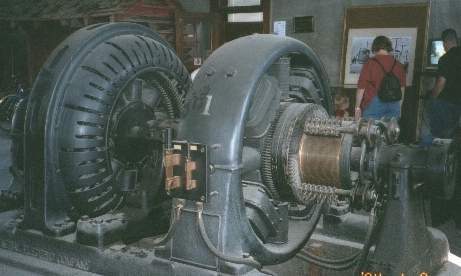 of the original YVT Brill Master Units inside the carbarn. 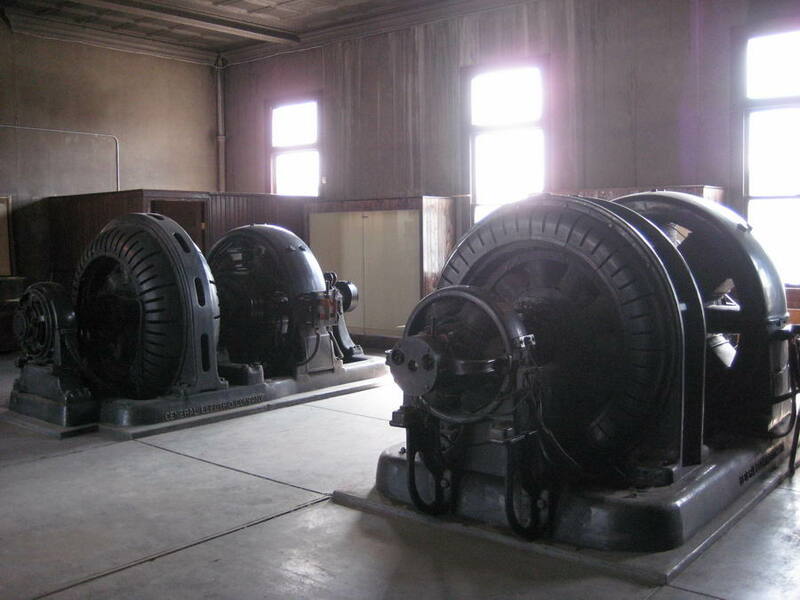 look inside the historic substation.